Hyper volatility, increasing market complexity and changing regulatory compliance is the norm in Commodity Trading. Leading trading companies partner with ITC Infotech to manage uncertainties amidst increasing complexities – to build a robust digital risk management system with trade process automation and superior business processes. ITC Infotech helps clients connect multiple systems, including systems for CTRM, ERP, logistics and accounting, enabling a bi-directional flow of data. This eliminates the need to input similar data multiple times across different systems, thus improving efficiency and accuracy while bringing in cost efficiencies. Clients partner with ITC Infotech to gain access to vast technical expertise across leading CTRM technology products in areas including implementation, support, integration, risk analytics, business process re-modelling and replacement of legacy systems. ITC Infotech delivers sustained execution excellence along with cutting-edge solutions for price and volatility forecasting and facilitating VaR based trading and decision making. 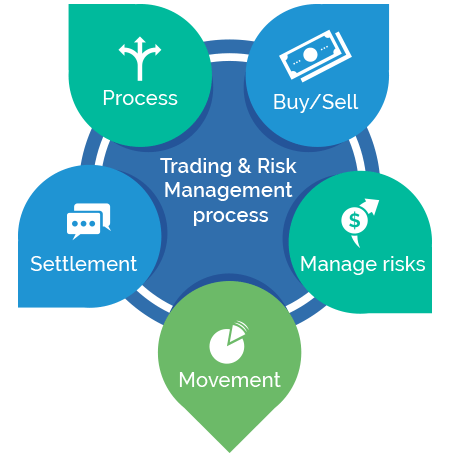 With our multiple pre-defined test scenarios, we deliver new benchmarks to clients by efficiently testing multiple trading and risk management applications.